- Raw Steel Finish/TIG welded for max strength. - CNC Cut Logo Top Strap. 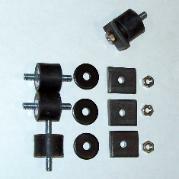 - Add a battery tray mounting kit for $35. - Finally an attractive way to show the battery. 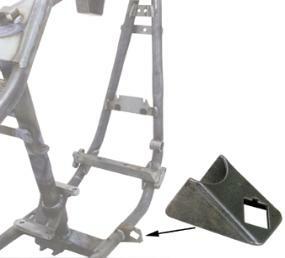 - Use to properly secure lower end of the rear fender to frame. 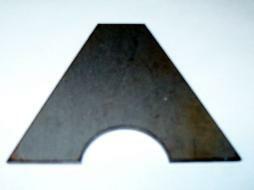 - 1/4" Thick Plate Steel. - Mount fenders and other components securely. - 3/16" Thick Plate Steel. - Add more strength to your frame's seat area or other places . 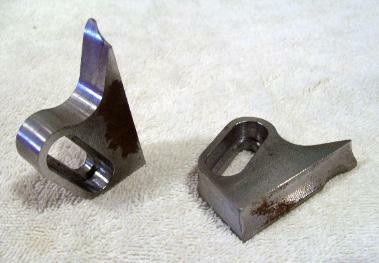 - Cut from 1/2" billet steel. 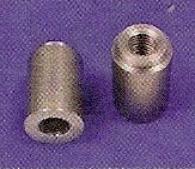 - Slot is 1/2" x 1-1/4". 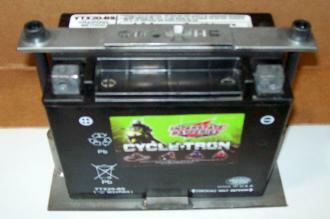 - Great for repairing damaged frames.